Step outside your beautiful Victorian building and head to nearby Arboretum Park. Stroll along the historic Tree Trail, or take a book and relax beside the pretty lake. Be inspired by innovative exhibitions at Nottingham Contemporary art gallery, then get a fresh perspective of your new home from the top of towering Castle Rock. If you’re feeling brave, go ghost hunting in the creepy caves and tunnels beneath Nottingham Castle, or head for the bright lights of Intu Victoria Centre mall to pick up a new outfit for a night of live music and dancing at legendary venue Rock City. 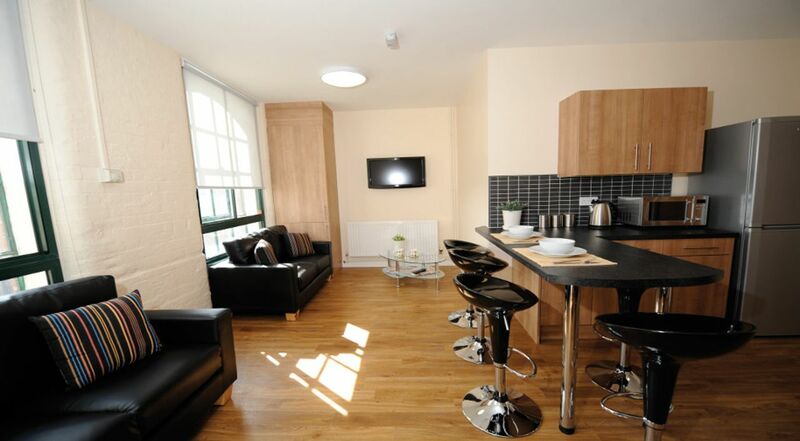 Nottingham Square is close to the city centre, so you can walk to Nottingham Trent University in around 15 minutes. 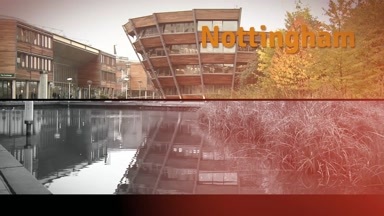 Hop on the bus and reach the University of Nottingham in 20 minutes, or take a 15-minute stroll to Nottingham Trent International College. There’s car parking and bike storage outside your building for when you come home after a busy day. 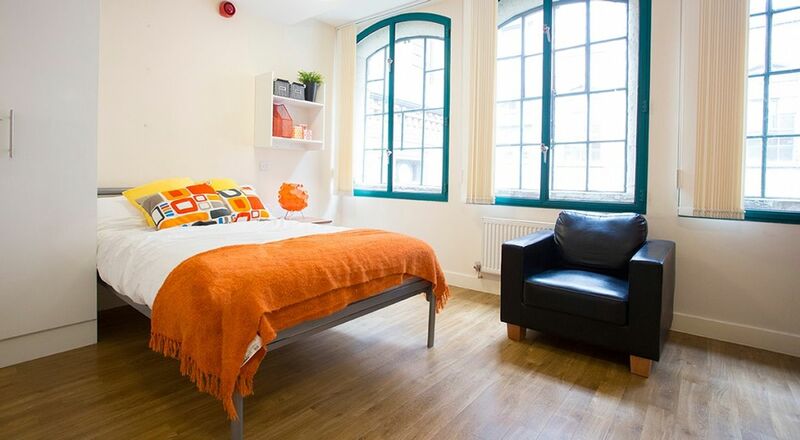 You’ll be living in a former warehouse, complete with its own clock tower and stunning arched windows. Get home from uni and head to the common room to see who’s around. Relax on the comfy seats and catch up with your friends, challenge your neighbours to a pool tournament, or grab the remote and find your favourite show on Sky TV. When the weather’s warm, sit outside on the courtyard with a good book to relax. On colder days, you can get cosy in your stylish flat. If you like your own space, you can live in a self-contained studio. 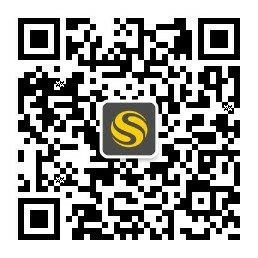 If you prefer company, you can choose a room in a cluster with up to six friends. There’s plenty of space for everyone to cook dinner in the kitchen. Eat with your friends at the breakfast bar, and then relax on the comfy sofas in the living area. When you don’t want to cook, grab a tasty kebab from nearby Han Sofrazi Turkish Restaurant, and drop your clothes at the on-site laundry on the way up to your apartment at Nottingham Square. 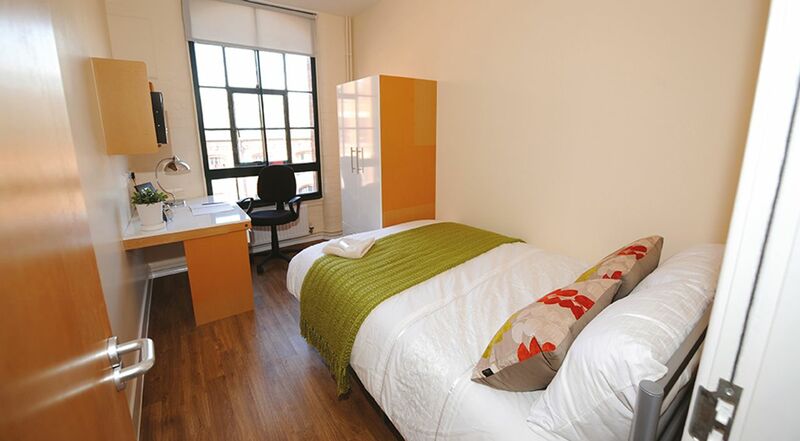 There’s Wi-Fi throughout, so you can work with friends in the common room, or study in peace at the desk in your room. There’s no need to worry about security because there’s CCTV and secure door entry, and a hospitality team is always on hand to keep everything running smoothly. We couldn't find a room that matches your preferencesView all Private Room in Nottingham Square. We couldn't find a room that matches your preferencesView all Entire Place in Nottingham Square.